"Andre and myself would like to thank you for the job you did at our new home. Of all the contractors who have done work at our house, you two were the most respectful, courteous, communicative and professional. Thank you very much for the pleasant experience." "Grant and Brad Granger exceeded expectations when they installed the garage floor in our new garage. The finished product is fantastic,sloped to the drain absolutely on target. They showed up when they said they would and delivered what they promised. "Granger Construction did an amazing job taking my ideas for the yard and making it all happen. Brad was very knowledgeable and friendly, always willing to answer any questions we had. 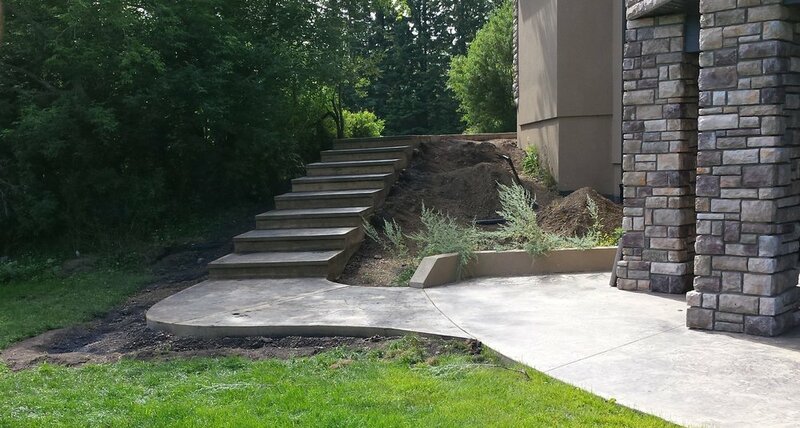 I would highly recommend them to anyone looking to have any concrete work done."